Today, let’s get back to basics. Spring is coming, I can tell because there is less ice and more puddles (but still a lot of snow – ugh). 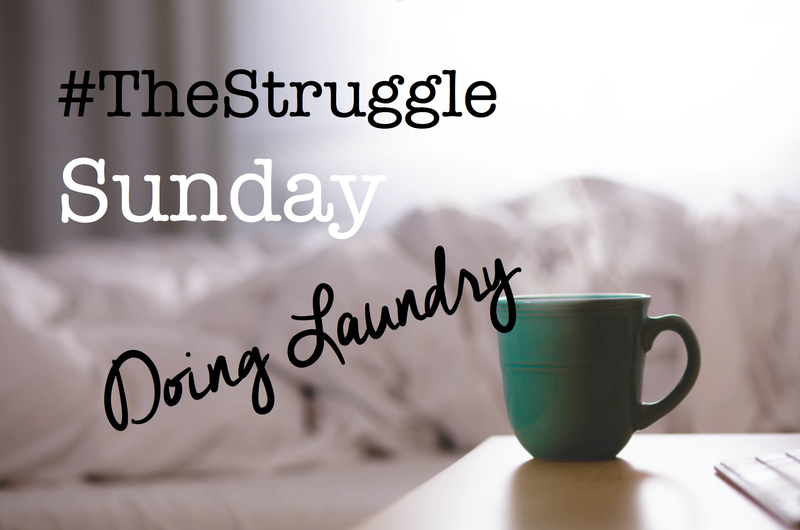 When spring rolls around we start thinking about all the ways we can clean, re-organize and de-clutter our homes for the coming warm months. 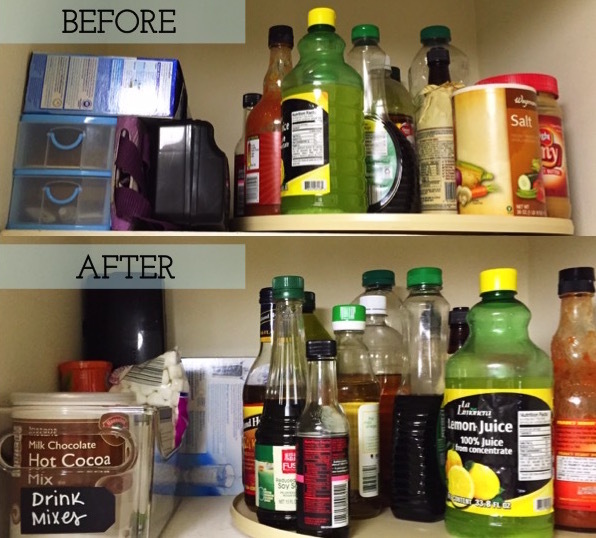 So to help you get your spring cleaning on, here’s a tried and true six-step process for organizing any space. It’s important to figure out not only how much money you have to spend on the project, but also the amount of time you have to dedicate to it. If you don’t set a due date, the project might to sit unfinished for days, weeks, months or even years. Set reachable goals for yourself at the onset so that once you reach them, you can use that momentum to organize more spaces! Yup–everything. 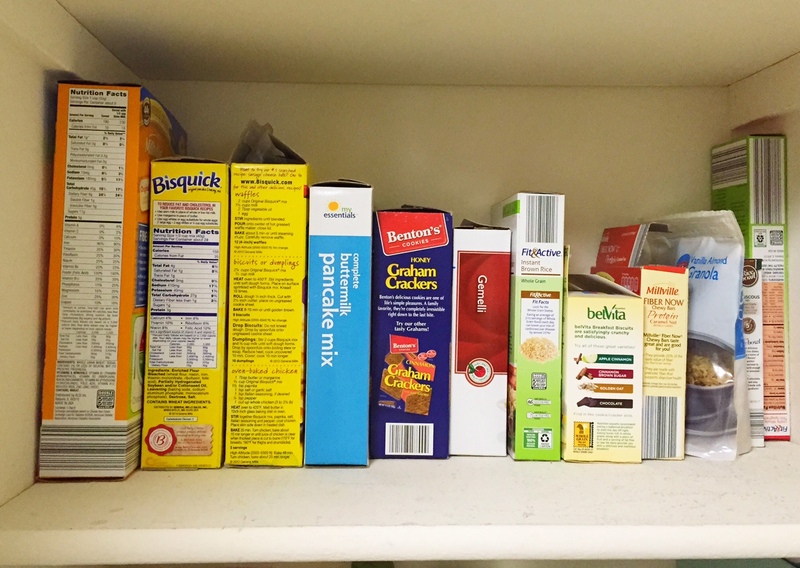 Every last thing needs to come out of the closet, off of the desk, out of the drawer, the pantry–you name it, it’s gotta go. Take this time to clean the space if it’s accumulated some nastiness (you know what I’m talking about). This will help you see the space clearly in order to put things back where they make the most sense. 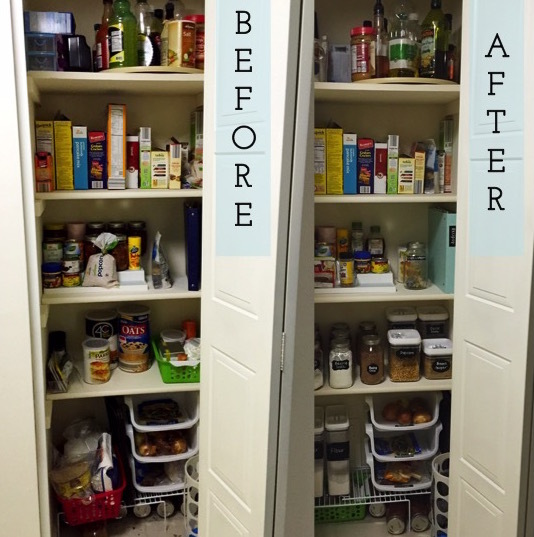 It also helps speed up the process of grouping, rearranging and squeezing value out of every last inch. 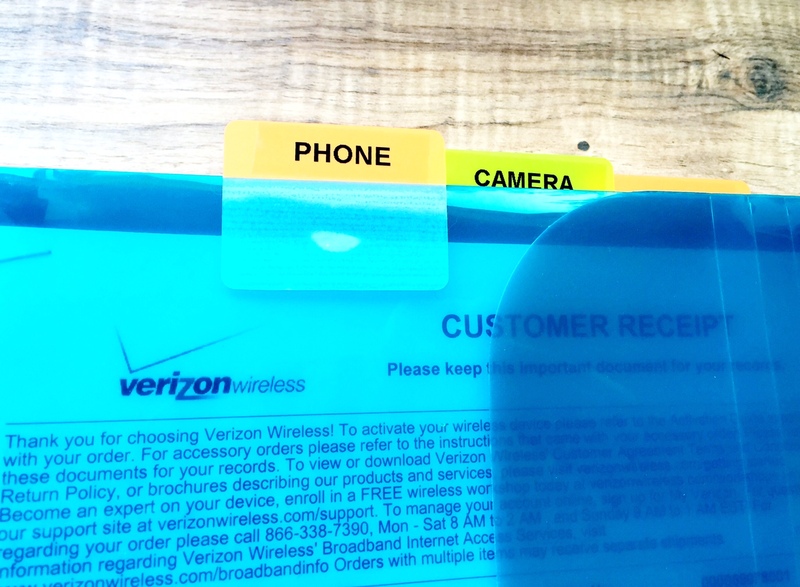 The hardest part, yet most essential part of the organizing process. Think really hard about the things you’re putting back. 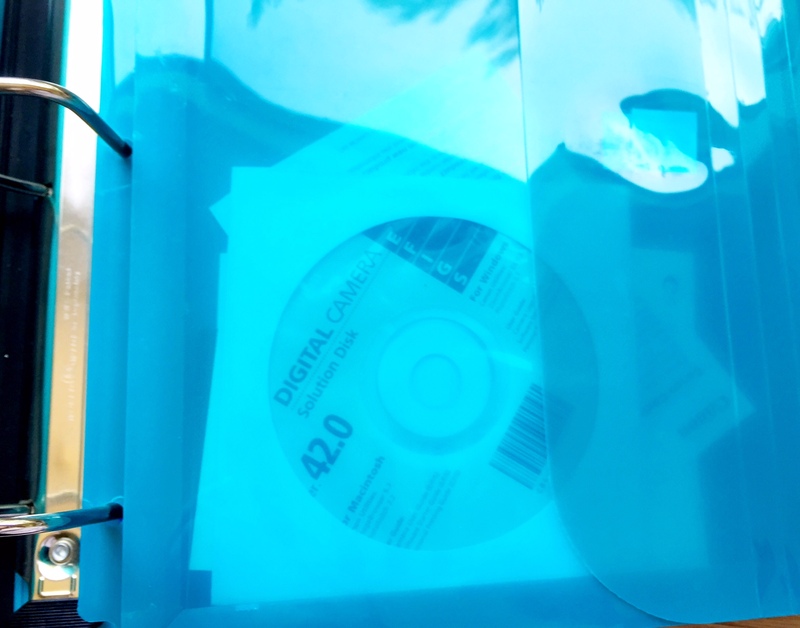 Do you still have use for them? Have you used the item in the las six months to a year? If not, it’s probably time to get rid of it so you can make more room for things you actually need and use. There is no sure-fire way to process things into groups, because it’s about what makes the most sense in your head and fits your needs. You are the one who has to live in the space everyday, so go with what you feel to be best and most efficient for you. 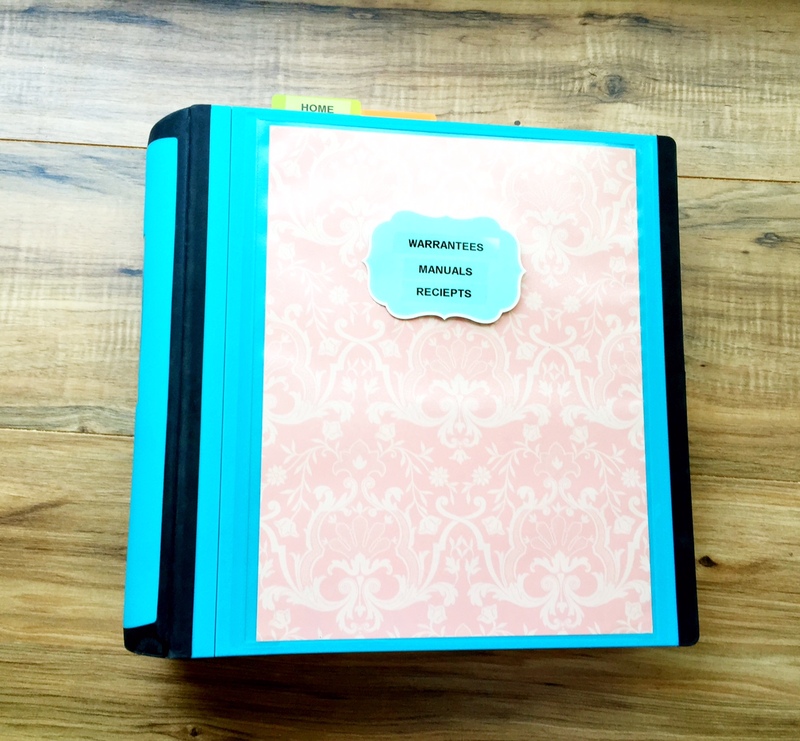 It’s important to not think about how your groups are going to fit into the space just yet. 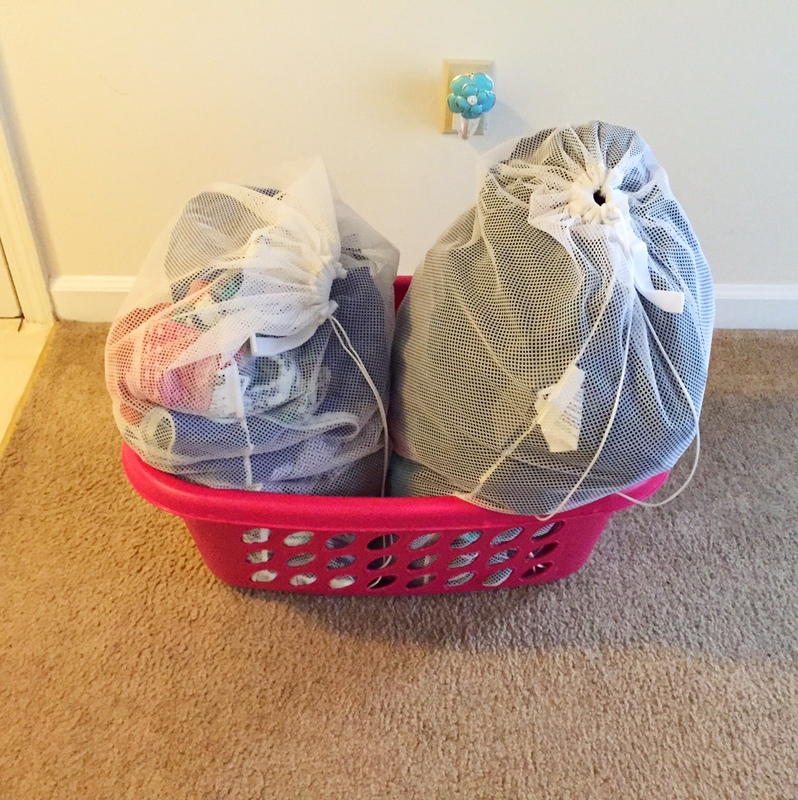 Your primary focus should simply be to sort and pile. Take a look at the groups of things you’ve just made. 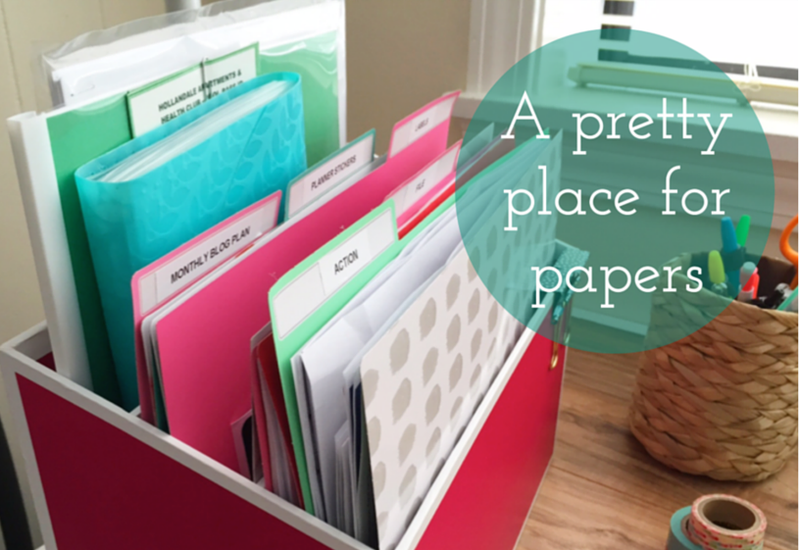 What resources do you already have that help organize the space? 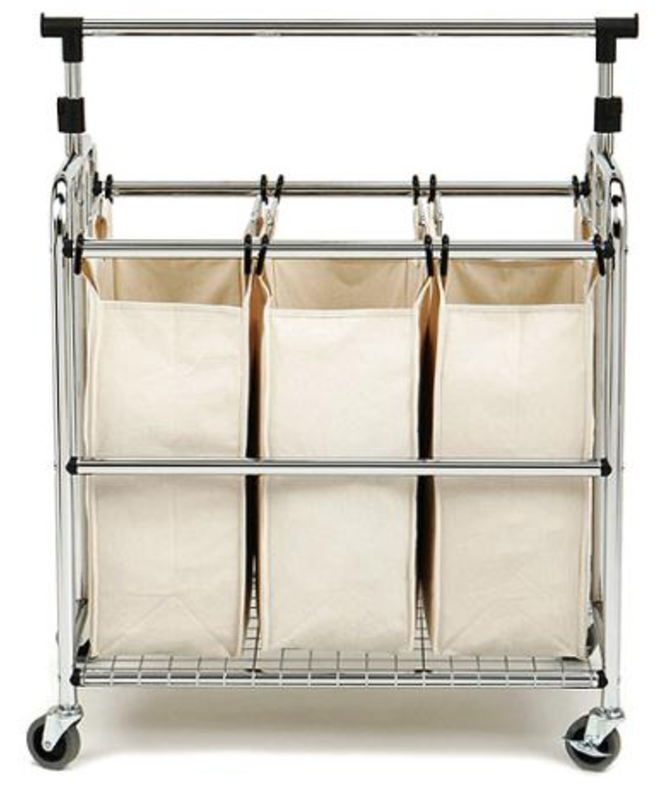 Do you need bins, baskets, boxes, pockets, folders or cups? 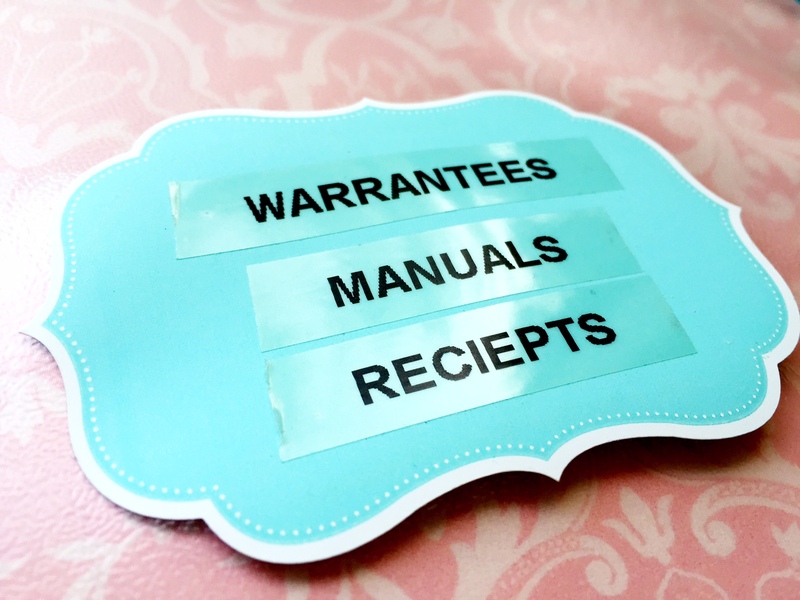 Go out and get the things you need–but don’t break your budget! There are , stores that carry organizing products at low prices, The Dollar Store, Target and Walmart to name a few. 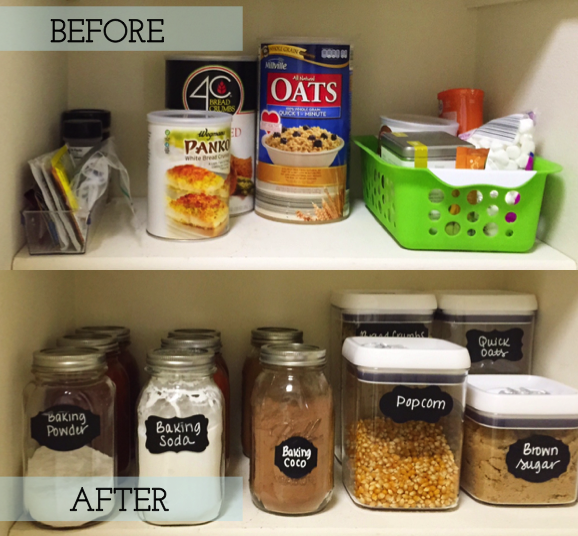 You may even need to get a little crafty and inventive with what you use to organize your space. 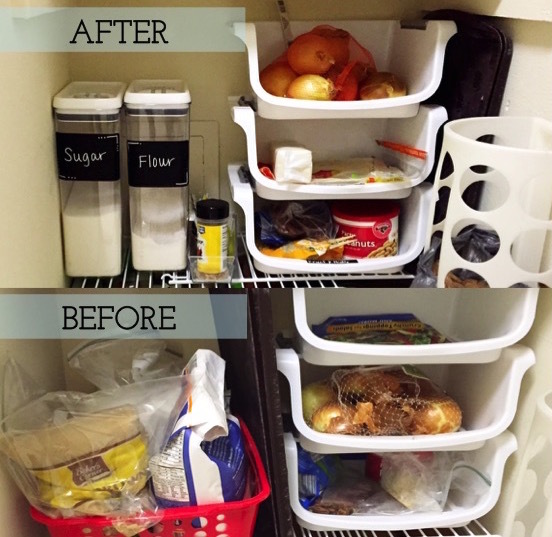 There are a lot of DIY organizing projects out there just waiting for you to try out! The key here is to make sure you take measurements of your space before you go purchasing or creating all kinds of things. The last thing you want is to try and put it in the space and realize it doesn’t fit or isn’t right. I’ve learned that heartbreak the hard way. 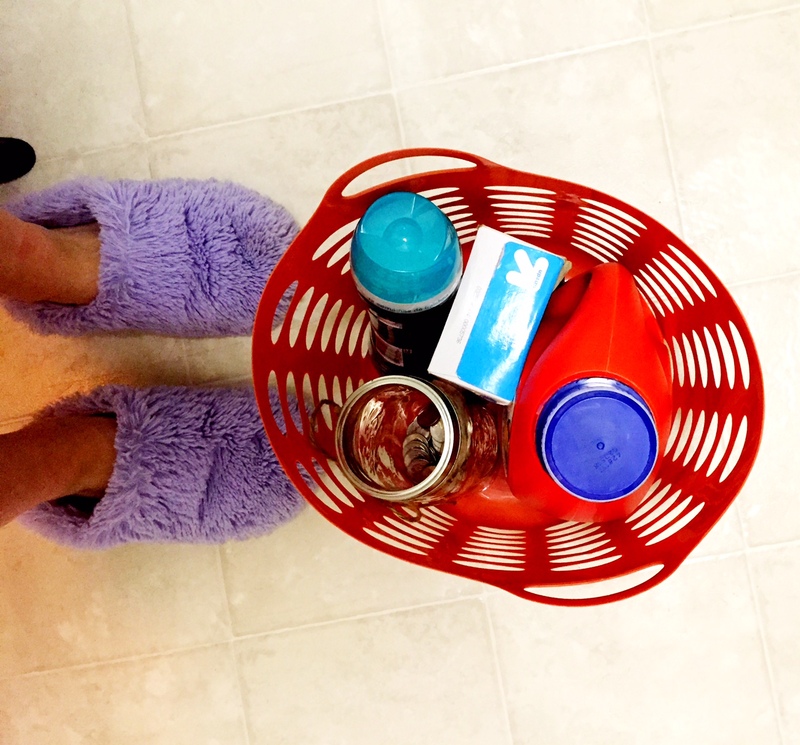 Is there anything better than coming home with new organizing products in tow? I can’t really think of anything that brings me more joy. 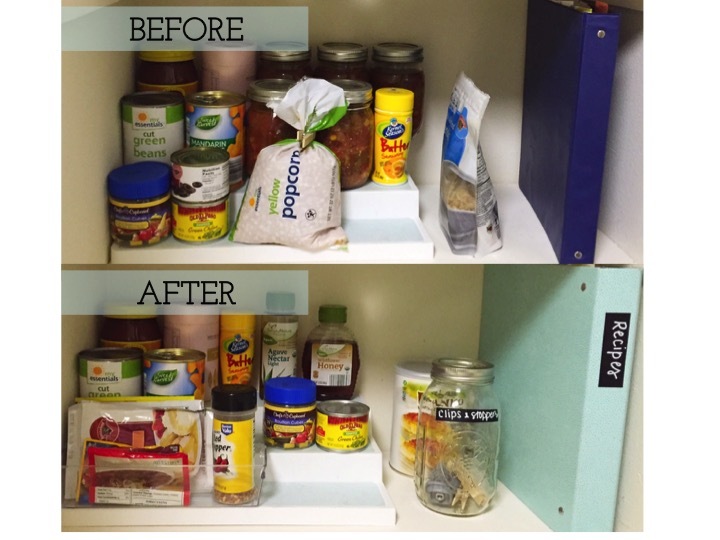 Use whatever you found, made, invented or bought to put all of your stuff back into your space. When you’re putting things back, think of it like a puzzle. How can you make all these pieces and elements fit together in the best way possible to maximize space? Arrange and rearrange until you get it just right. This step might be the longest part of the process, and is certainly one of the most challenging, but the rewards are worth it. Spring has almost sprung! Go out there and organize your life, so that when summer rolls around, you’re not digging and searching for something you need and you can spend more time relaxing and enjoying the sunshine–I know I will be! Is anyone else sure excited to turn the clocks ahead this weekend? I can’t wait for extra hours of daylight after work! I hope you found this six step process helpful and use it for your upcoming organizing projects. Is there anything I left out? 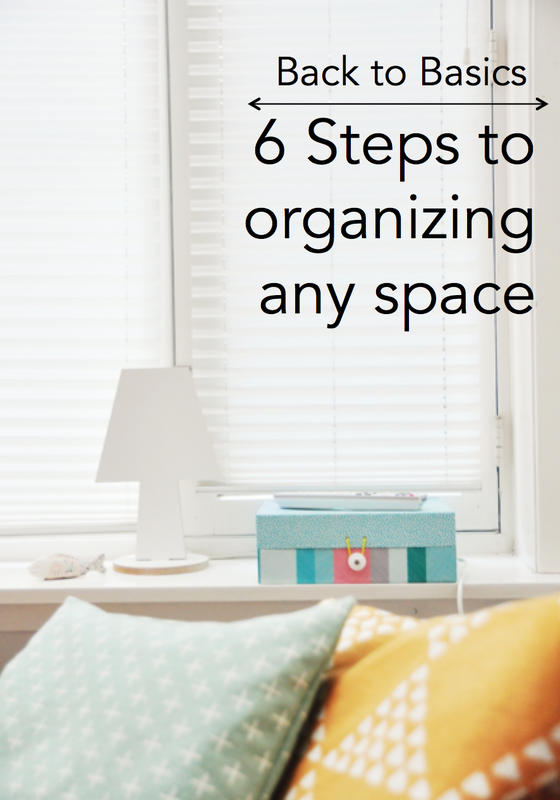 How are you organizing your space? Let me know in the comments or tweet me @qqquimby016. See you soon! 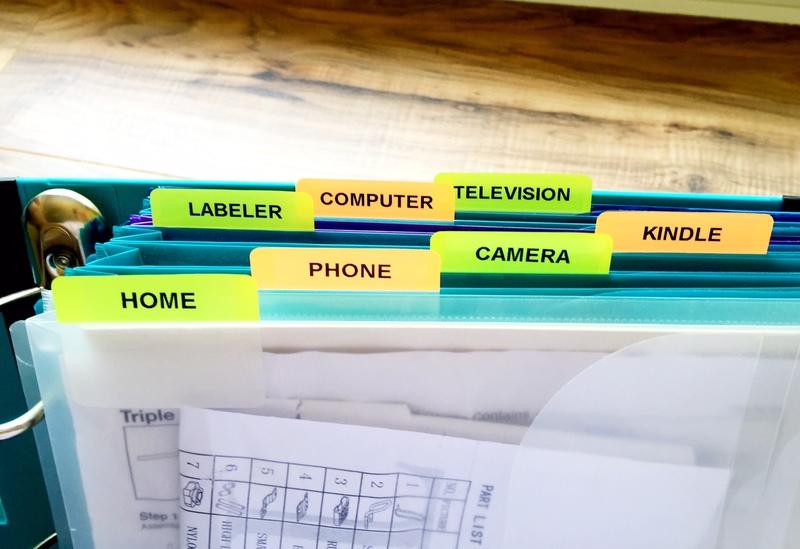 For photos of organized spaces and places, fun organizing finds, and weekly planner updates, follow me on Instagram @LifeInOrder. If you’ve ever tried to organize jewelry before, you know how hard it can be, especially with all the different shapes and sizes. Bulky bracelets, bangles, baubles and rings–nothing about it is uniform. Also, having a system that works with your habits can be tricky. Some things you wear regularly, others are only for special occasions, and some are things worn a few times a month to work or with the perfect outfit. 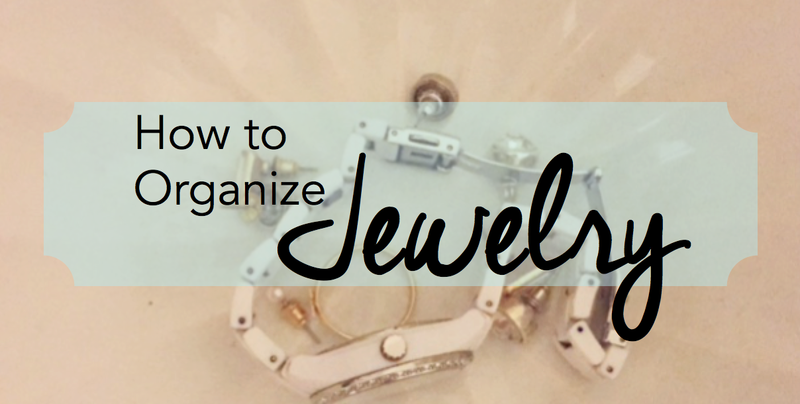 Here’s how I organize my jewelry to fit my life, habits and style. My frequently worn jewelry and rings live here–in a jewelry box my grandma gave me when I graduated from high school. It fits my Alex and Ani bracelets perfectly, and has room for my rings (I don’t have many). It site on top of my dresser and works perfectly because I can close the lid to avoid visual clutter. 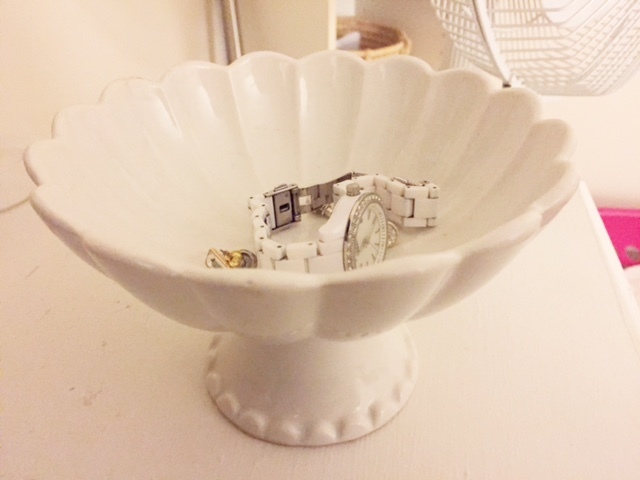 I keep all of my fashion jewelry and delicate, easily-tangleable (that’s a word–right?) necklaces hung on the wall in my closet. I got the rod and S hooks at Ikea for under $15 and the rack above it from Michaels. 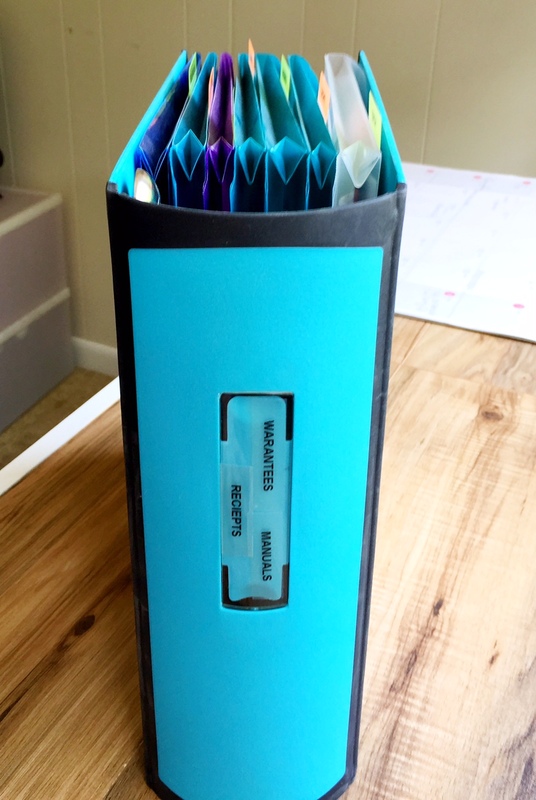 Michaels is AMAZING for jewelry organizers. They have boutique-like jewelry display items, like the ones found here. I got this rack for $7 using a 50% off coupon. Never, ever shop there without a coupon. Ever. The pieces of jewelry above are things that I like to pair with certain outfits. Having them hanging in my closet helps me pick out my outfit and any special jewelry in one swoop, making my morning routine easier. There you have it. 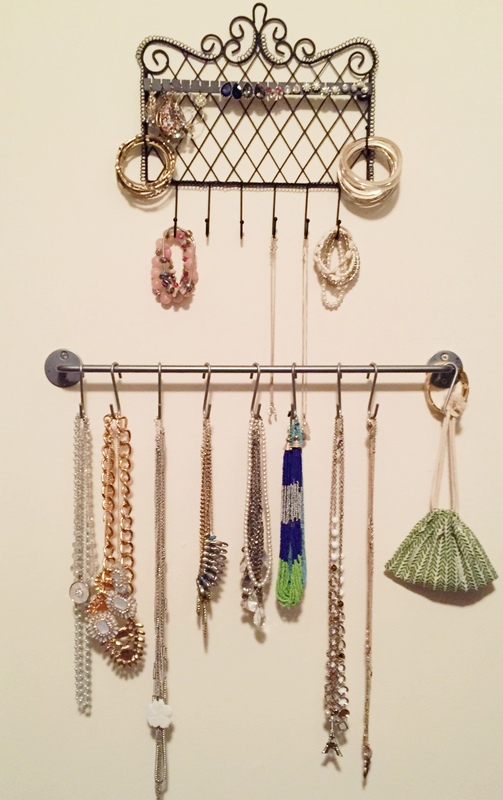 I don’t have a streamlined system to my jewelry to keep it all in one place and looking Pinterest-perfect, but I have a system that works for me and my habits. 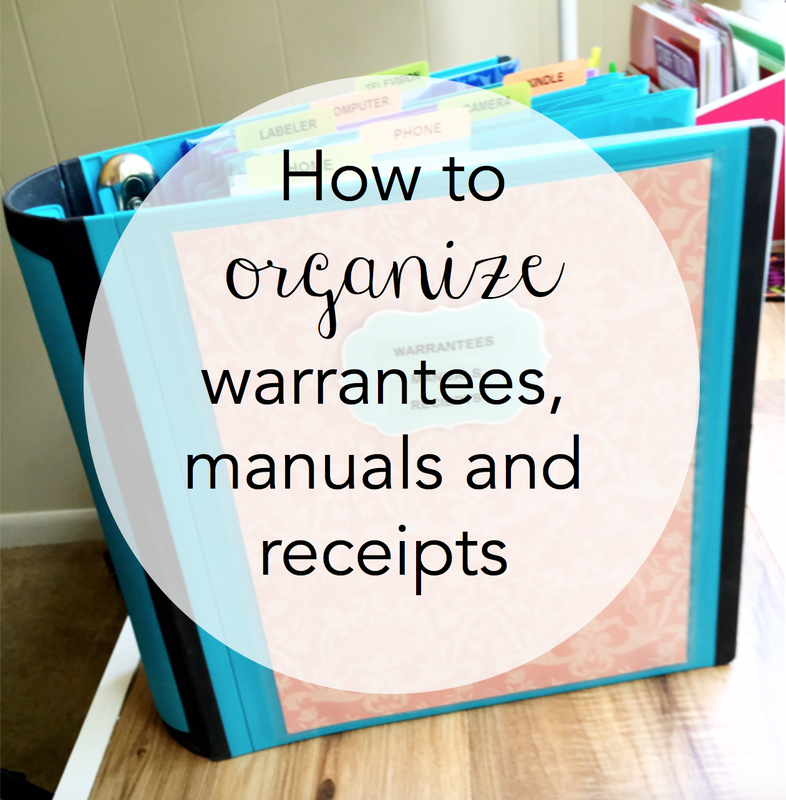 That’s really what getting organized is about–tailoring your organizing systems to maximize efficiency for your life. 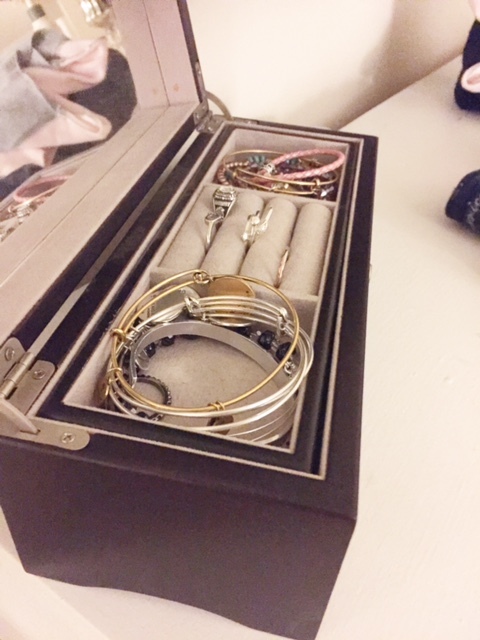 A little time organizing jewelry now, can save you a lot of time when getting ready in the morning. And you can see all of your jewelry so you no excuse not to accessorize. 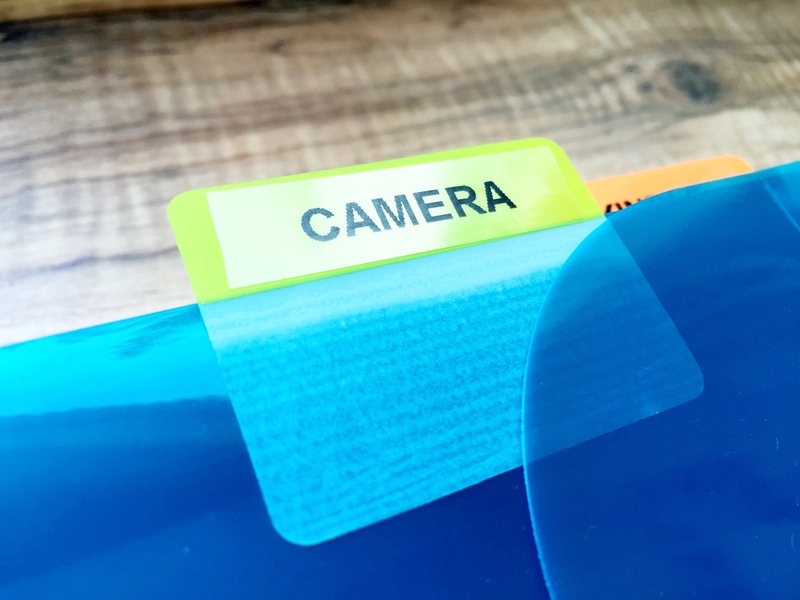 This weekend, come grocery shopping with me and see how I put my meal planning sheets to good use.